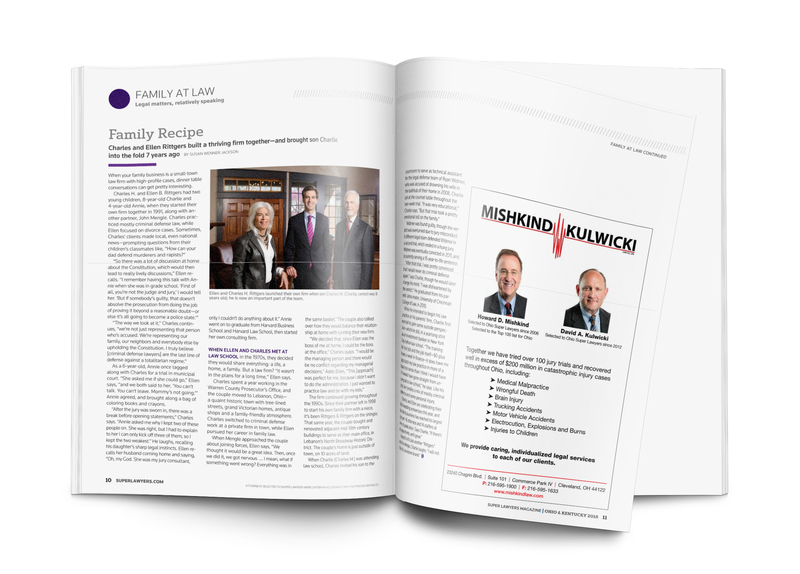 Since 2007, I’ve been a contributing writer for Super Lawyers, a Thomson Reuters company that rates attorneys in each state and publishes magazines featuring profiles of selected attorneys. Through Super Lawyers, I’ve interviewed and written about some of the most legendary and fascinating attorneys across the country (although mostly located in Ohio and Kentucky). In my most recent assignment, I told the story of a small-town family-owned firm that’s handled some pretty high-profile cases over the years. Never a dull moment at their family dinner table, that’s for sure!